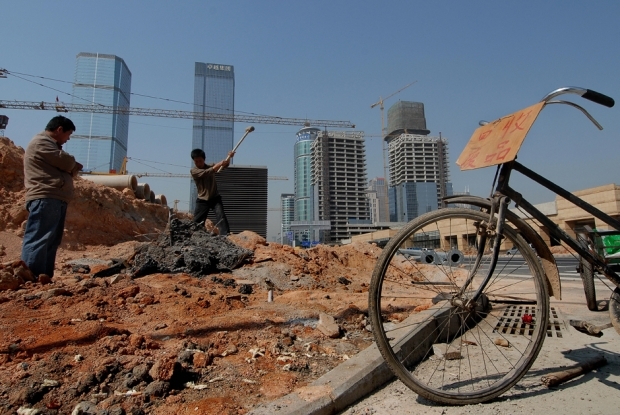 Two men scavenge metal from a building site in Shenzhen, January 31, 2007. On September 6, Shenzhen celebrated the thirtieth anniversary of its founding as a special economic zone (SEZ). And while the city feted itself at the highest levels of power, its celebrations were marred by an unexpected development: in a speech made by Wen Jiabao a week earlier, the Chinese Premier had called for further democratization in uncharacteristically blunt terms, warning of the peril of stalled political reform. The contrast between the two events could not be clearer, but what does it mean? This week, the Sinica gang takes a look at this ideological battle in Shenzhen, as well as the more local storm brewing in Beijing over the redevelopment of the Drum and Bell Tower district. Joining Kaiser Kuo we have Sinica co-host Jeremy Goldkorn, along with newcomer John Garnaut, staff journalist for The Sydney Morning Herald and one of the most perceptive journalists writing on China.